“Former minister for justice Alan Shatter has initiated a High Court challenge aimed at quashing certain findings of the Guerin report concerning Mr Shatter’s handling of claims by Garda whistleblower Maurice McCabe. In his action, Mr Shatter alleges objective bias, absence of fair procedures and “indecent haste” on the part of senior counsel Sean Guerin in how he compiled his report and reached conclusions critical of the minister. Mr Shatter resigned following publication of the report last May, in which his handling of Sgt McCabe’s claims was strongly criticised. Among Mr Shatter’s complaints is Mr Guerin should have interviewed him prior to reaching conclusions on a range of issues. This was very important given that the conclusions had gravely affected his career and reputation, Mr Shatter said. Had he been interviewed, Mr Shatter said that would have shown he had not deferred to the former Garda Commissioner’s view concerning the allegations by Sgt McCabe. Today, Patrick O’Reilly SC, for Mr Shatter, secured leave from Ms Justice Marie Baker to bring judicial review proceedings against Mr Guerin for orders quashing various findings in the report. Among various claims, it is alleged the report was compiled in breach of principles of natural and constitutional justice and fair procedures. He has also alleged objective bias on the part of Mr Guerin. It is also alleged the terms of reference for the report did not entitle Mr Guerin to reach the conclusions he had. There was failure to consider all the relevant documents, including documents from Mr Shatter and the Garda Siochana Ombudsman Commission. It is alleged Mr Guerin regarded himself as bound by a fixed eight-week time limit and he should have, but failed, to take the additional time necessary for the report. It is alleged “indecent haste” in concluding the report led to errors, including alleged failure to fully engage with the process. Mr O’Reilly said his side was also exhibiting legal advices given to the Attorney General which were given to Mr Guerin. These were not brought to Mr Shatter’s attention until after the report was concluded, Mr O’Reilly said. Mr Shatter had asked for and was subsequently given those advices without any claim of privilege, counsel added. In those circumstances, his client was arguing privilege was waived. Those advices played a “crucial role” in relation to the report and it was Mr Shatter’s case Mr Guerin misread part of those advices. The advice was the Garda Commissioner should have dealt with the matter but Mr Guerin misconstrued part of that advice in considering the Minister should have dealt with it, Mr O’Reilly said. Ms Justice Baker said she was conscious of the sensitivity of that advice and issues may arise in that regard. Former minister for justice Alan Shatter has initiated a High Court challenge aimed at quashing certain findings of the Guerin report concerning Mr Shatter’s handling of claims by Garda whistleblower Maurice McCabe. When Mr Shatter appointed Mr Dominic McGinn SC to look at Niall’s case our complain was that Mr McGinn was not asked to look at all relevant documents i.e. 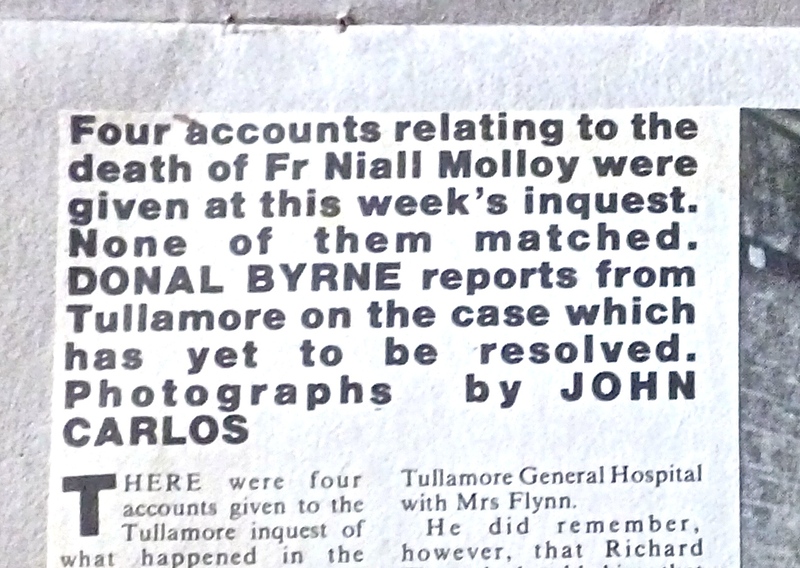 the first Garda investigation. Strange he is now making the very same complaints we have made against him and now find ourselves trying to get Frances Fitzgerald to listen to us.